This week New York State Governor Andrew Cuomo announced an ambitious plan to significantly reduce the state s AIDS population. Several obstacles exist to achieving his goal of reducing the virus prevalence, but one many point out is the high number of people with an undiagnosed HIV infection. In New York State, some estimate that as many as 22,000 people are unknowingly infected with HIV. Nationally it is estimated that 20 percent of the infected population is unaware of their status. One initiative that has been undertaken to reduce this population is to increase access to testing, in particular through the development of at-home testing. Right now in the United States, there are two different at-home HIV tests that the FDA has licensed. Home Access HIV-1 Test System, which boasts over 99 percent accuracy, is not really an at-home test as patients must mail their sample to a lab and wait to receive their results over the phone. The other test, OraQuick, is truly an at-home test where patients can get an immediate response; however it lacks reliable accuracy as over 8 percent of tests produce a false negative result. One test isn t truly at-home and one test isn t truly accurate. Across the seas in the United Kingdom, where the prevalence of both HIV and undiagnosed HIV is similar to our own, the ability to easily detect HIV via at-home testing just surpassed our own. The British test, from makers BioSure UK, have found a way to succeed where the two American tests have failed. For $45, a person can purchase a test that involves a simple finger-stick: within minutes, the result is easily readable and privacy is secure. 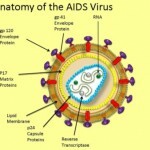 The test detects HIV antibodies and currently boasts an over 99 percent accuracy. Currently, it is not known when this test will become available in the United States. Even so, does this indicate that the UK is on the road to surpassing us in biomedical research or has already done so? According to one report, changes in regulation of pharmaceutical research and development has eased Britain s path toward medical progress. Ironically, the friendlier regulatory climate which moved research from the UK to our shores in the 1990s, has now shifted, to our detriment, according to ACSH s Dr. Josh Bloom, who worked in pharmaceutical research for decades. In the 1990s high taxes and regulations in the UK drove research to the United States, however, as recently as 2010 there s been a reversal.